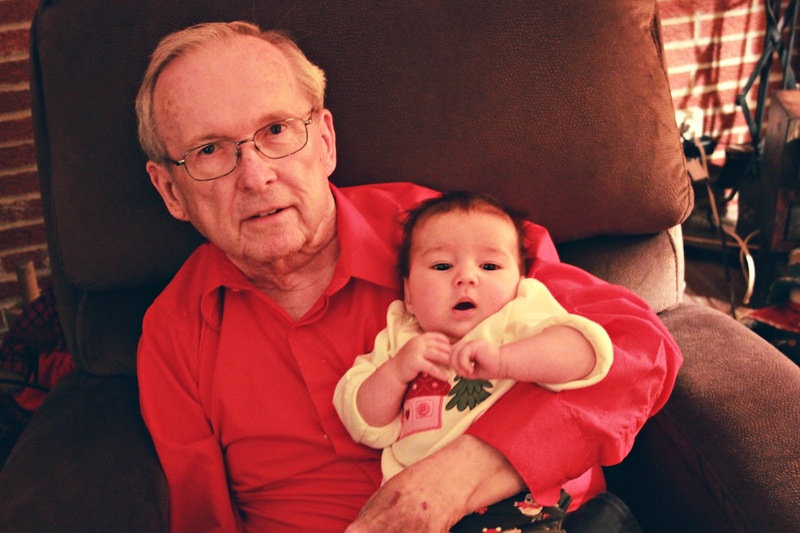 Jess Writes Here: Great Grandparents are the Best! I didn't get to know my great-grandparents. I really wish I would have. 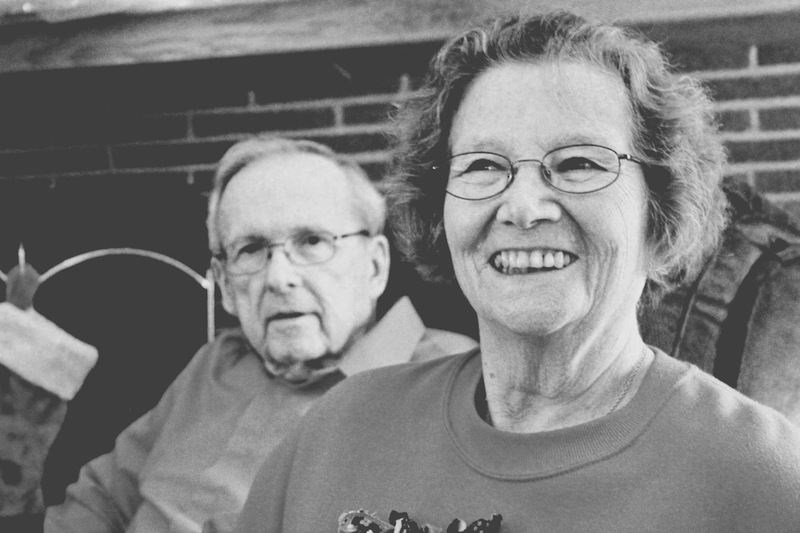 My parents love to tell me how amazing they were and how loved they felt by them. Unfortunately Anna won't get to meet her great-grandparents on my side either. Before this gets to be a depressing post...Anna is able to know her great-grandparents on Travis' side and I am so thankful for that! They are all so wonderful and have taken me in as one of their own. I love them so much. 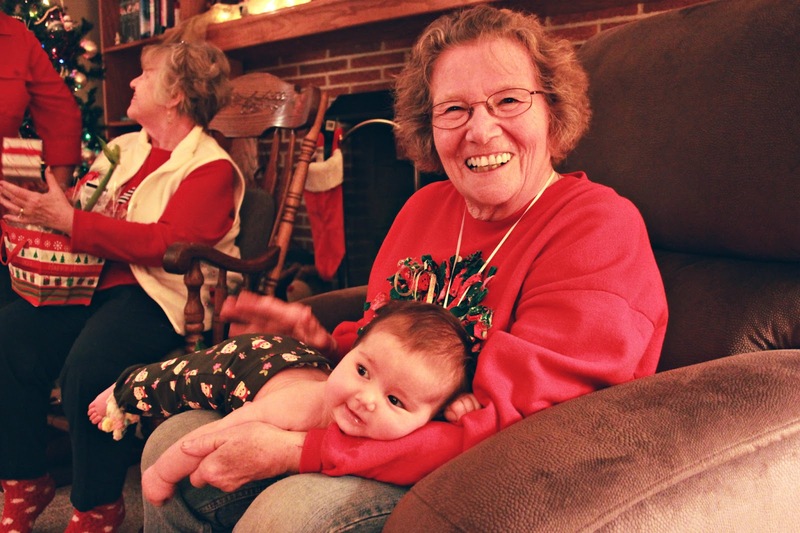 One of the best moments of Anna's first Christmas was having her meet her great-grandparents. Their faces lit up when we brought her in to their houses, they giggled with eagerness to hold her as we pulled her out of her car seat, and they loved on her like only a great-grandparent can. Aren't they just a beautiful couple?! I love hearing stories of their marriage, such an inspiration! 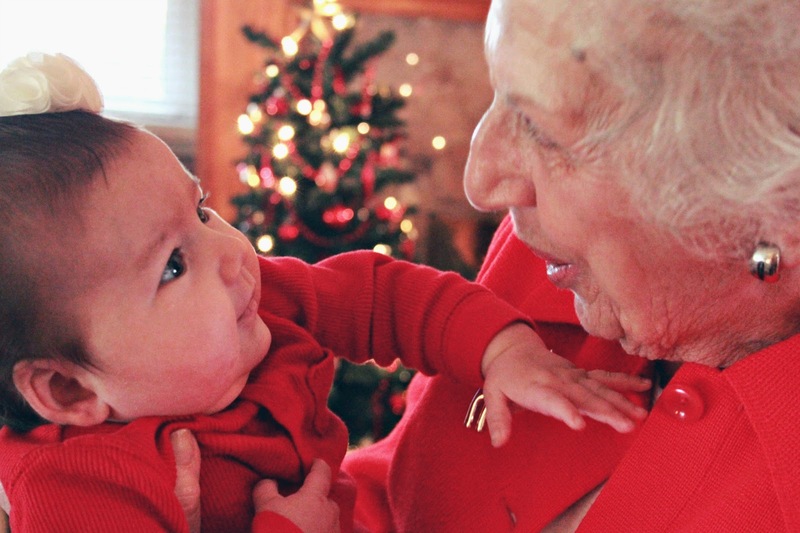 "I love you, Great Grandma Virginia"
From generation to generation. Just beautiful! I just spent the last hour reading every page of your blog e past year. It was amazing! As a mother of 4 and a first time grandmother, your blog brought back so many wonderful memories. Blessings to the three of you! this is seriously so sweet! we are in the same boat as you guys-- rosalita won't get to meet her great grandparents on my side (my dear, dear grandmother died only four days before she was born, i seriously thought she was going to make it and i was so sad when she didnt) but luckily, my husband has one surviving grandparent left, and it's so cute when she is together with rosalita!!! I'm so sorry to hear about your grandmother. That must have been really hard so late in your pregnancy. It's great that Rosalita still has her daddy's grandparent around to love on!